A new parody app about Donald Trump is a hit, climbing to No. 5 on the list of most downloaded apps in the U.S. iTunes App Store. The objective of the game is to build a wall (as "huuuge" as you can). You're not building the wall on the U.S.-Mexico border, however. The wall is being built in front a building that looks like the White House with Trump's name plastered across it. "This game and all characters in it are entirely fictional," is the message you see when you open up the "Trump's Wall" app. But everything on the free iOS game looks awfully familiar if you've been paying attention to Trump on the presidential campaign trail. While you play, the presumptive Republican presidential nominee spouts classic Trumpisms like "It's lyin' Ted!," "The beauty of me is I'm very rich," and "Let me tell you, I'm a real smart guy." 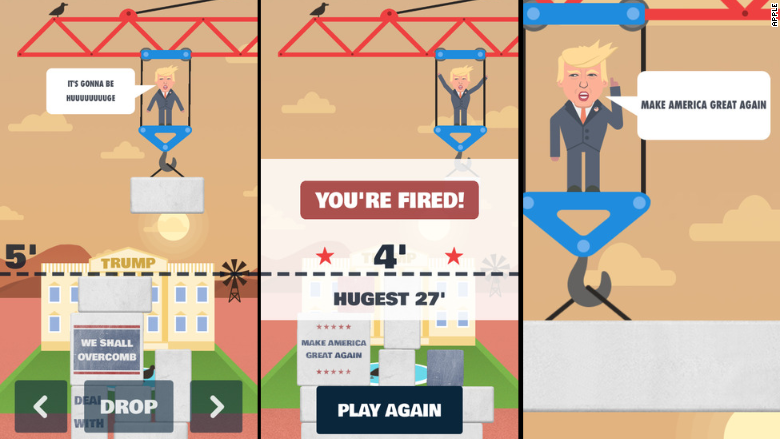 And if the wall you're building topples over, the app declares "You're fired!" The app came out last month, but it only caught fire in recent days. It's not the first "wall" app, but it's by far the most successful. You might get a good laugh about the parody app, but the game's developers look like they're cashing in. There's a persistent ad that's always at the top of the screen while you're playing -- unless you pay $1.99 to remove it. The app's creator, listed as "The BLU Market" (a social media marketing and software company), didn't immediately respond to a request for comment. Neither did a spokeswoman for Trump. It doesn't appear as though Trump, who's famous for licensing his name, is making any money from this game. 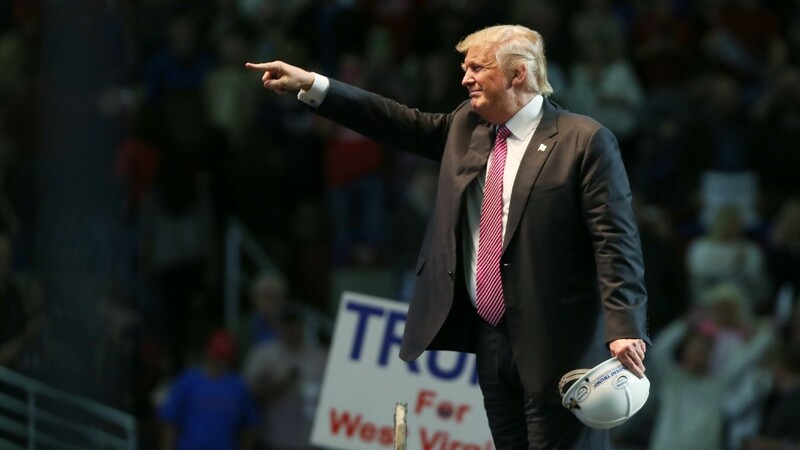 Trump's organization and campaign have sent cease-and-desist letters to merchants selling unauthorized gear with Trump's name on it, however.